Premier Gymnastics of the Rockies Level 8 team competed at the Level 8 Colorado State Gymnastics Meet. The meet was hosted by Colorado Gymnastics Institute. 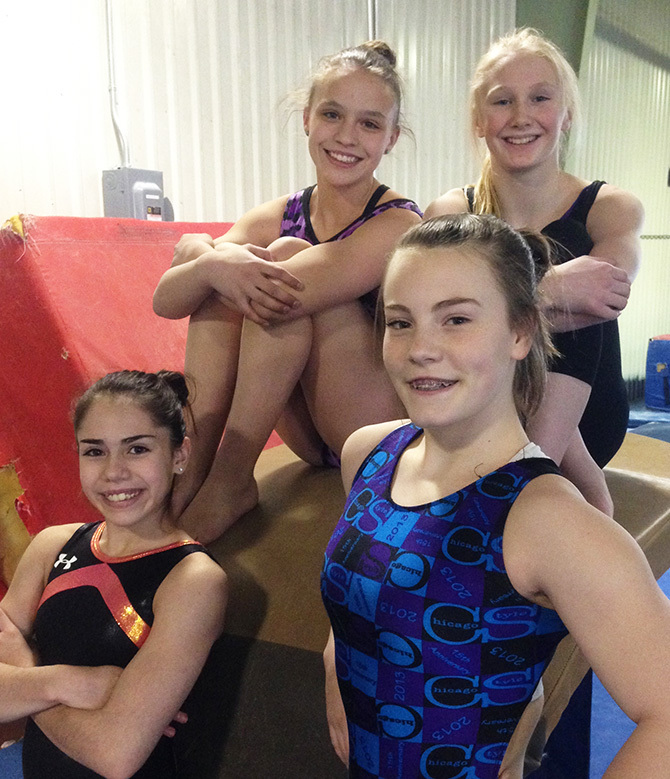 Four gymnasts from Loveland, Berthoud and Longmont competed for Premier on March 15. Morgan Adams placed fourth on Floor and finished fifth in the All-Around competition in the Level 8, 14 year old Division. Kairey Vela, Sidney Strizki, and Tatum Graham all competed in the Level 8, 13 year old Division. All four gymnasts qualified for the Level 8 Regional Meet. As Regional qualifiers, gymnasts from 8 different states from the United States Gymnastics Association’s Region 3 will compete. The Level 8 Regional meet will be held in Loveland on April 4 – April 6. It is being hosted by Premier Gymnastics of the Rockies and will be held at Loveland High School. Congratulations to our Level 8 qualifiers!